Tonight on NBC’s Emmy Award-winning musical competition The Voice airs with an all new Monday, September 27, 2016, season 11 episode 4 and we have The Voice recap right below. On tonight’s The Voice Blind Auditions part 4 the blind auditions continue. Did you watch last night’s episode where the Blind Auditions continued where Josh Halverson impressed the judges with his performance and Adam suggested Josh take Blake as a coach? If you missed the episode and what to find out what happened we have a full and detailed The Voice recap, right here for you! Make sure to bookmark this spot and come back between 8PM – 9PM ET for our The Voice Recap! 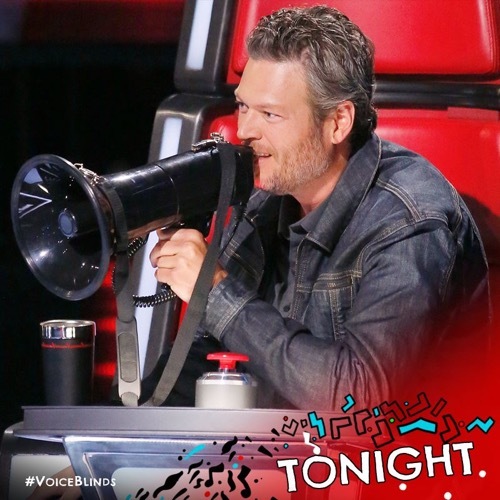 While you wait for our The Voice recap make sure to check out all our The Voice spoilers, recaps, news & more! Blake gave Alicia and Miley gifts but they had nothing for him. We meet our first contestant, Aaron Gibson, tonight for the blind auditions. Aaron sings “Losing my Religion.” Miley and Alicia both turn around. After Aaron’s performance, Adam tells him that he is jealous of his voice. When Blake questions Adam on why he didn’t turn around, Adam calls him stupid. All the coaches give their speech, Aaron chooses to go with Miley. Simone Gundy is the next contestant. She was in the choir and loves music but her life changed when she became pregnant at the age of 15. She works a full time job and performs in Houston when she can. She choose to sing “I (Who Have Nothing).” Both Miley and Adam turn around. Alicia and Blake also turn around later in the song. She picks Adam. Samantha Landrum is 22 from Mississippi. She sings Shania Twain’s “Feel Like A Women.” None of the coaches turn around. Josh Gallagher from Nashville hits the stage next and sings “A Little Longer.” Alicia and Blake turn around. He chooses to go with Blake. We meet Gabe from New York. He chooses to sing “I Won’t Lie to You.” Alicia turns around first. Alicia wants to help him find his musical identity. Michael sings next. He’s bluesy and bold. He picks Alicia. She’s thrilled and loves his big voice. Darby Walker sings “Stand By Me.” Her talent has all of the coaches interested. She bonds with Miley over grandmothers. Miley gets up to sing with her. The two duet to “Jolene.” Alicia also sings “No-One” with her. She picks Miley Cyrus as her coach. Austin hits the stage. His father is a musician and he clearly got his talent. Miley is reaching to relate to him while all the other coaches find common ground. Khaliya, a young girl who lives on an Apache reservation, has parents who both support her musical ambitions and her sexuality. They are proud of her, accompanying her to The Voice blind auditions. Miley bonds with her while Blake tells her she can get her a trophy. She picks Miley. Cooper sings next. None of the coaches turn around but compliment him on his voice. Halle hits the stage next. She’s a teenager whose biggest hero is her mother. All the coaches except for Miley turn around first. Her rendition of “New York State of Mind” has trio excited. She chooses Alicia. Nolan Neal makes his way to the stage to perform. He sings “Tiny Dancer.” Adam and Blake both turn around. Miley hits her button. Adam and Miley fight over him. Alicia calls him a classic old time singer. Blake sells him with compliments while downplaying Miley and Cyrus as new coaches. He picks Adam.